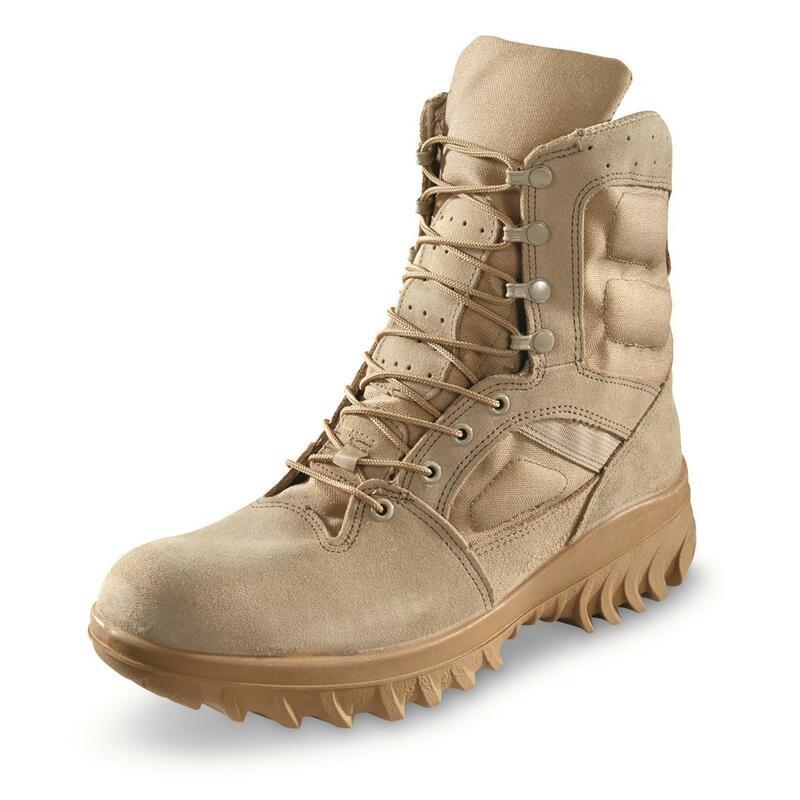 Action-packed foot comfort, U.S. military quality. Take on the rough road ahead with top U.S. military quality! 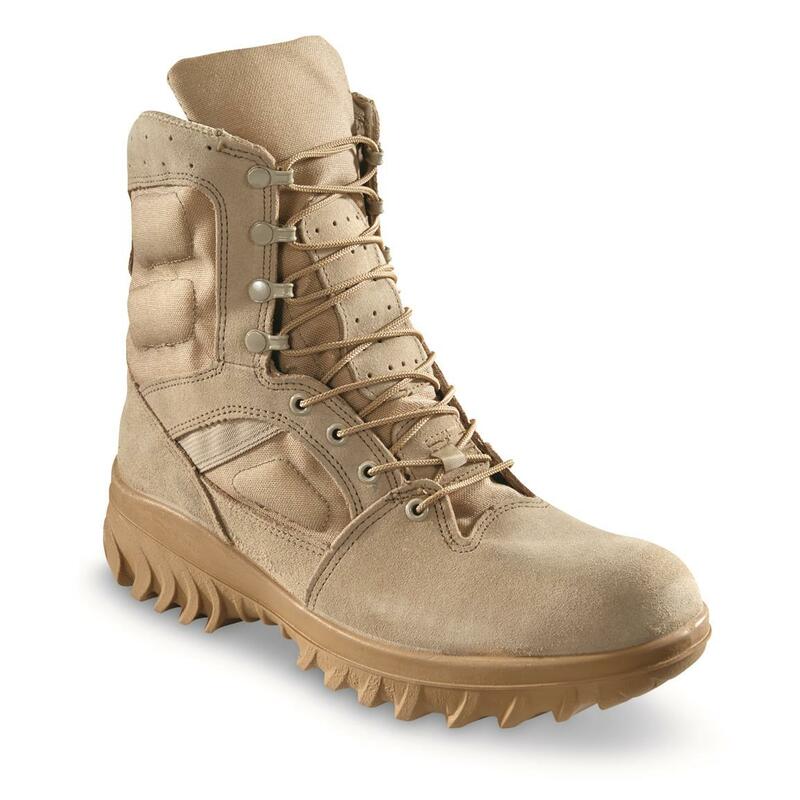 Desert Combat Boots are designed for shock-absorbing comfort over long days on the clock. 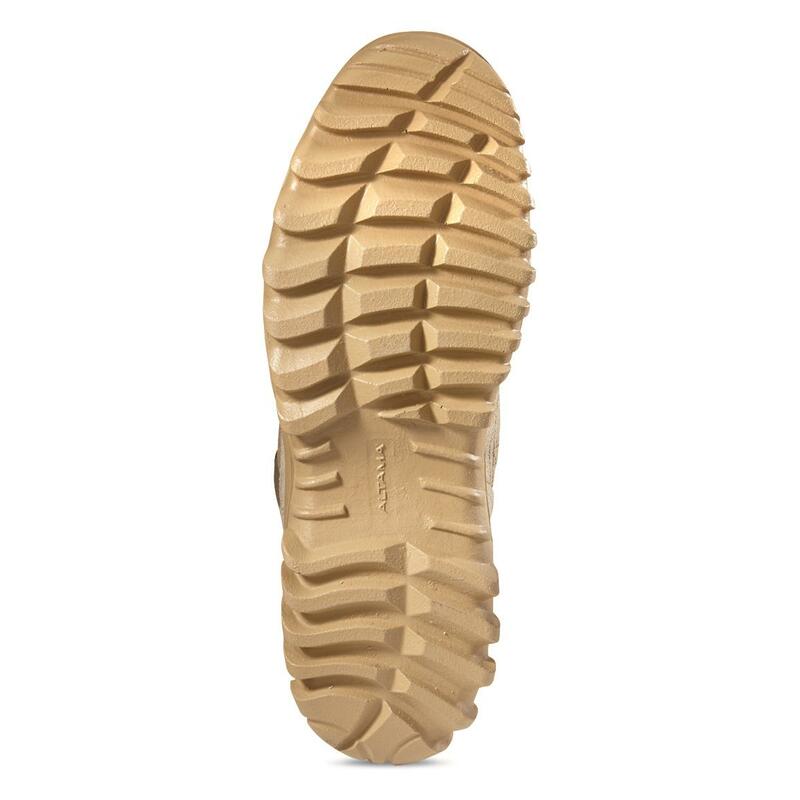 Not to mention flexible and breathable for high activity, hot, arid environments. The are the same Boots being worn by troops in real desert environments. Only these pairs are brand new and ready to give 110% on your next mission.